Considered by many a rite of passage for keen drivers, the Stelvio Pass is the second highest paved road in Europe. Once described by Top Gear as the ‘greatest driving road in the world’, the Stelvio is characterised by both its elevation and the 48 hairpin bends on it. This, along with the legions of cyclists who flock to pitch themselves against the torturous incline, vans full of tourists and the occasional nutter on a motor bike means it’s frequently impossible to drive quickly. However, that’s probably a good thing. The tight turns are lined with unforgiving rocks and the drops don’t bear thinking about. Made up of three different drives, les Corniches offers drivers three varying perspectives on France’s beautiful Cote d’Azur. The Grande Corniche is the highest and was first built by Napoleon, following an existing Roman road. This is the most challenging of the three to drive but if, as is frequently the case, it’s shrouded in fog, you can descend to the Moyenne Corniche. This is a less hair-raising drive than the Grande Corniche but more crowded. Finally, the Basse Corniche takes in the beautiful coastal towns that accompany the sandy beaches. It can be crowded but the quality of the seafood at the restaurants makes it worthwhile. 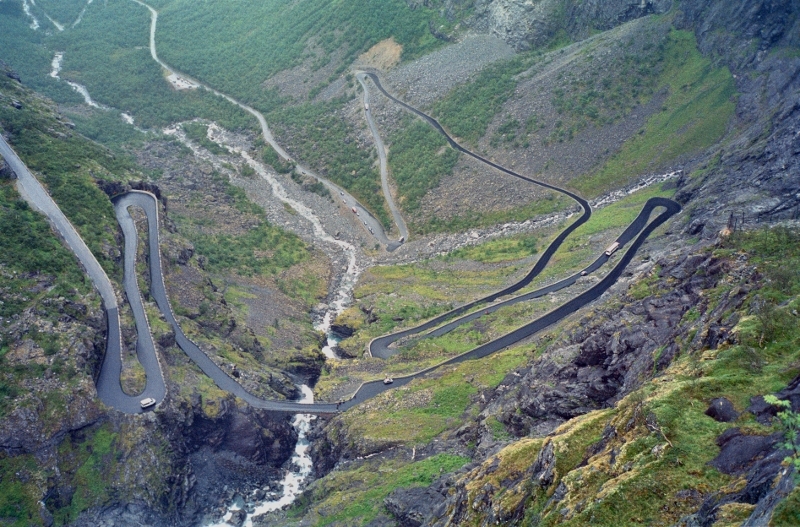 If you want to give your car a good work out, Trollstigen will do the job. 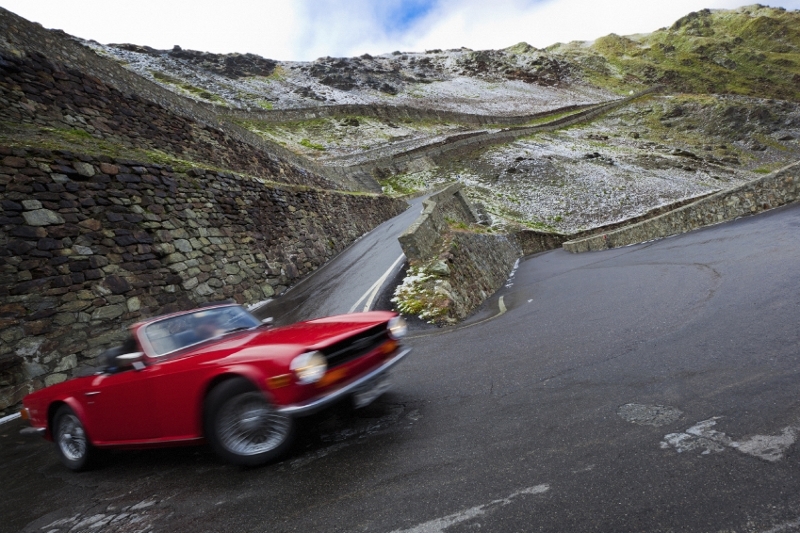 Its 10 per cent incline, 11 hairpin bends and narrowness make it a test for both man and machine. Near the top there is a viewing balcony to take in the vertiginous vistas and you can look over the spectacular Stigfossen waterfall which cascades 320m down the mountain side. Driving it yourself is the only way to enjoy its tight turns because long vehicles such as coaches have now been banned. When work started on them in the 1920s, Germany’s Autobahn network was the first limited access, high-speed road network in the world. It’s still one of the longest motorway systems on the planet after the USA, China and Spain. The beauty of the Autobahn network for drivers – aside from the usually well-maintained and smooth road surface ‑ is the lack of speed limits. Actually there is a speed limit (130kph or 80mph) but for around two thirds of the network it’s only advisory, meaning you can drive as quickly as the traffic or your car allow you much of the time. On the other third, usually where the motorway bypasses towns or at busy intersections, there is a strictly enforced limit. This takes drivers from Thonon-Les-Bains on the shores of Lake Geneva in Switzerland to Nice on the Mediterranean, via 430 miles of the most spectacular scenery in the world. The route includes four national parks, 16 mountain passes and embraces the entire run of the French Alps. Included in the route are Mont Blanc and some of the passes made famous on the Tour de France bike race, including the daunting Col du Galibier. This is all cycling country meaning you can’t drive it quickly. But then you probably won’t want to as you’ll be enjoying soaking up the views. It all looks great and easy to drive around all them mountains plus all them sharp corners but living in Milton Keynes we no all about round a bouts and sharp corners but not all them mountains that look so nice.